2 cool charts I copied from Rolfe Winkler at Reuters. To illustrate my point that money’s just funny printed paper. 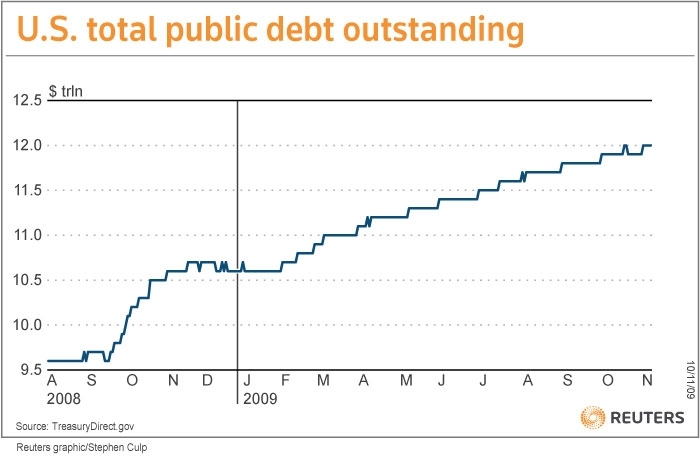 US public debt, doesn’t include unfunded healthcare and Social Security oblications. Original here. 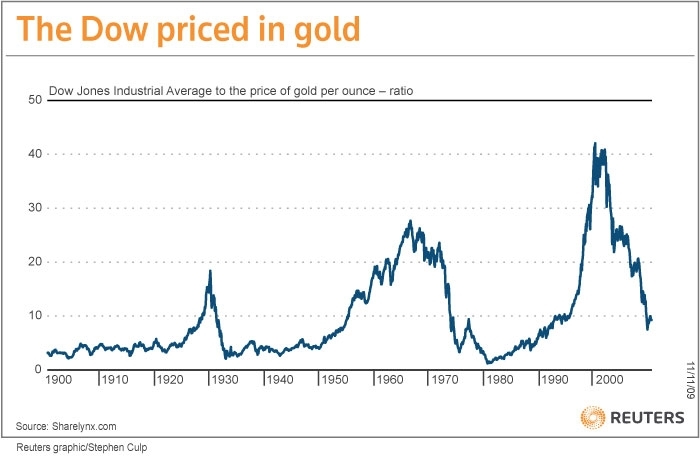 Dow Jones historical chart as valued in gold. Original here. Peruvians should pay attention to these, since Peru historically has very close ties to the US and gold is a major part of Peru’s foreign exports. To stay up to date on all things gold and Peruvian economy, head over to IKN. This entry was tagged business, Dow Jones, economy, gold, Peru. Bookmark the permalink.